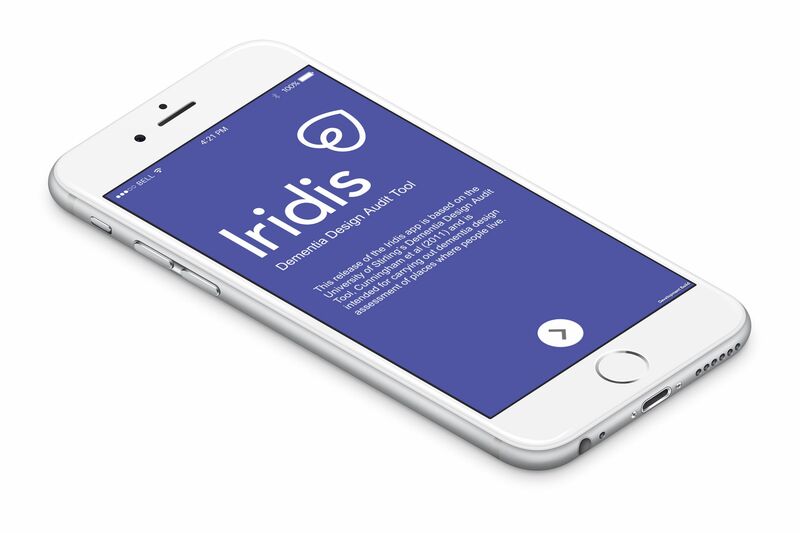 On World Alzheimer’s Day, Thursday 21 September, the University’s Dementia Services Development Centre (DSDC), together with Space Architects, launched Iridis – the first app of its kind in the world to assess and provide feedback on how suitable a residence, care facility or other environment is for older people, particularly those with the condition. “What we’re doing in association with the DSDC is offering a service which will reduce the high cost of specialist care by creating and adapting living spaces for specific needs and future-proofing homes as individuals’ needs change. Lesley explained: “There are around 50 million people living with dementia worldwide and we have already received significant international interest in Iridis, from the likes of Japan, India and China. Richard Baker, Policy and Communications Manager at Age Scotland, who is spoke at the launch, said: “The living environment affects older people in a great number of ways, particularly those living with dementia. Therefore, ensuring older people are living in an environment which meets their needs is very important for their quality of life and independence. The full findings were be unveiled at a joint event, alongside the launch of Iridis, at the University of Stirling.